Pies are one of my favourite foods. Particularly apple pie, but give me any pie and I’d be happy. This little free form pie is made with quince and marzipan, an almond paste. If you don’t have almond paste or don’t like it, you could skip it but it really adds is a beautiful flavour here. I would serve this as a cheese course or afternoon snack. 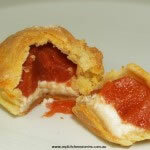 It has Goat Curd cheese, quince and almond, a classic combination and great savoury sweet mixture. 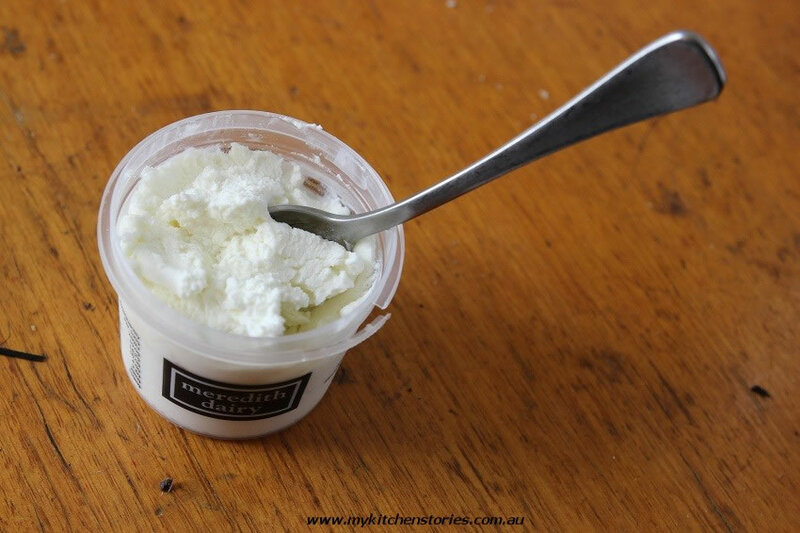 If you cant find goats curd use ricotta. If Quinces aren’t in season use another poached fruit such as Peaches, Apples, Apricots or Plums or you could play with Pear and Cheddar cheese. process unitl it resembles fine bread crumbs. Add the water and process until the dough just comes together in a ball. Turn onto a floured bench and form into a smooth ball. Wrap and rest in the fridge for half an hour. Cut pastry dough into 16 even lumps, one for each of the top and bottom of the eight tarts. Roll the bottom of your tarts out approx. 8 cm (3 in) round, as thinly as possible. Then the tops approx. 6 cm round. Press a walnut sized piece of marzipan out into your hand, then place it in the centre of the pastry bottom. 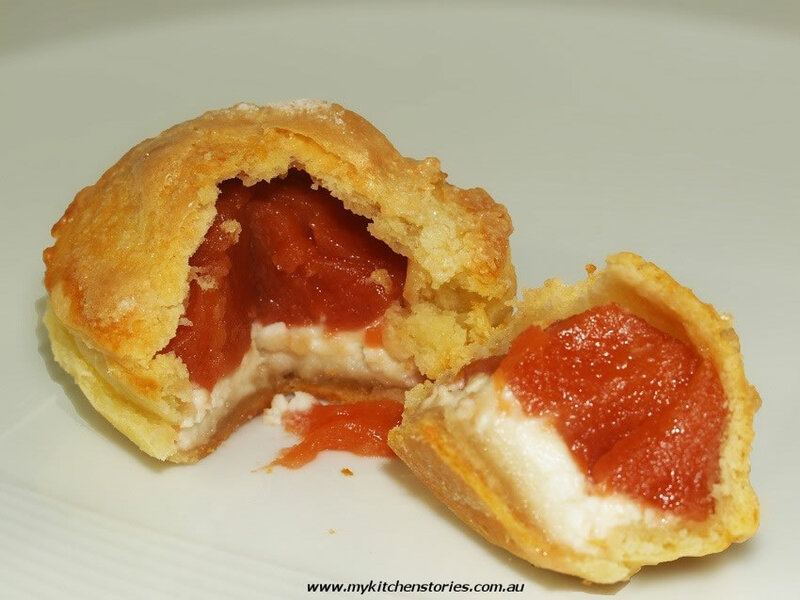 Top with a tablespoon of goat curd and a small piece of quince ( 1/4 or smaller - to fit the pastry). Repeat the process for all eight pastry bottoms. Hold the pastry bottom in your hand and push the sides upwards, as if making a pie without the pie dish. Holding the pastry in one hand, paint the edges with beaten egg and press the top circle onto or over the top of the top of the pastry bottom. Place onto the baking tray and paint the top with beaten egg then sprinkle with sugar. Repeat process for all eight tarts. Rest tarts in the fridge for an half an hour before baking. Goat curd , delicious light goat cheese. Whats your favourite goat cheese? Congratulations , yopu will love this little camera. I look forward to seeing your shots! Congratulations Miss T. I love your list on your blog – very amusing. Suzanne Perazzini recently posted..Do you understand your oven? I learned something today. I can already taste the tang on my tongue! These look gorgeous! Congratulations Miss T! And magnificent looking pies, Tania! Yes Charlie she was very pleased which is very nice. 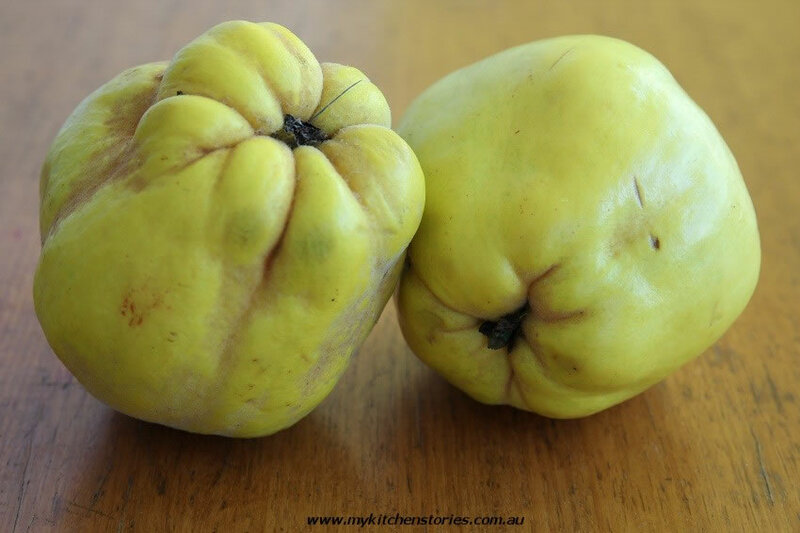 What a gorgeous flavour combination indeed, I looove quinces! I buy a yummy goats Brie that is just lovely and runny and silky smooth. That would be nice in this too! Thank you, goats curd and quince are my favourites!